Ligaments are static (non-moving) stabilizers between bones or around a joint. When around a joint, they are known as joint capsules. Ligaments represent the strongest tissues around any set of bones, known as articulation. Weakening or injury to ligaments with excessive motion and wear likely represent the single most important underlying structural detriment that contributes to degeneration of joints and tendons. Ligaments have minimal capacity to heal once they’ve been injured or stretched. The blood and neurologic supply are less in these tissues, which limit their ability to heal. The most commonly injured ligaments are found in the ankle (ACL, MCL, and LCL), the knee and the wrist. The recommended treatment for minor ligament injuries is rest, ice, compression and elevation, but for more severe ligament injuries or those seeking improved pain relief, regenerative medicine is best. The most common agents used for ligament injuries are Platelet-Rich Plasma Therapy and Bone Marrow Cellular Concentrate. On average, a patient seeking treatment for a ligament injury will receive 1-3 injections over a three to six month period. 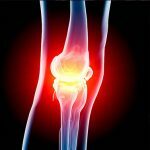 This will provide relief for one or more years depending on the severity of the ligament injury at the beginning of treatment and the type of regenerative agent used.